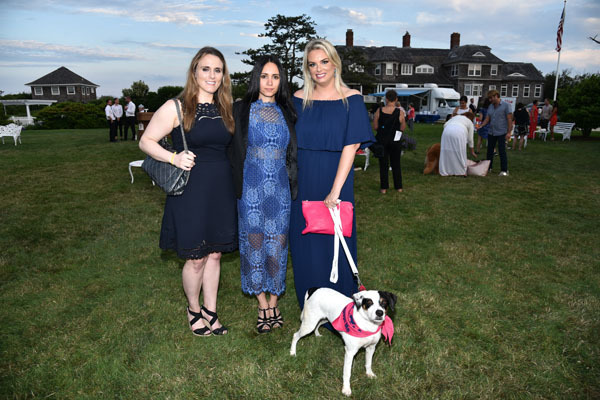 The Southampton Animal Shelter Foundation (SASF) held its Eighth Annual Unconditional Love Gala on Saturday, July 8th at a private waterfront residence on Gin Lane in Southampton. The event sold out for the eighth consecutive year. The Foundation’s Board of Directors, led by Board President Jonathan McCann, hosted this year’s event, which was themed around a whimsical walk in the park. The event honored SASF Co-Founder Sony Schotland and Honorary Board Member Jean Shafiroff, who has chaired the Gala for the previous five years. 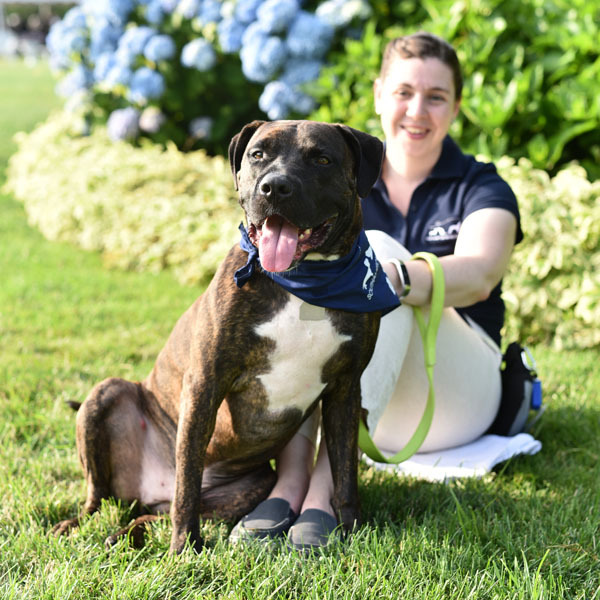 Philanthropist and author Mrs. Shafiroff has been instrumental in helping the shelter raise nearly $4 million, while Mrs. Schotland has dedicated more than 50 years to saving homeless pets, and was instrumental in making the Southampton Animal Shelter private, with a no-kill policy. Master of ceremonies Chuck Scarborough welcomed more than 300 guests, including: Congresswoman Carolyn Maloney, Howard Lorber, John Catsimatidis, Beth Stern, Jill Rappaport, Jean Remmel Little, Deborah Hearst, Southampton Village Mayor Michael Irving and his wife Ellen, Leesa Rowland, Larry Wohl, former Southampton Village Mayor Mark Epley and his wife Marianne, Martin Shafiroff, Sandra McConnell, Steve Bernstein,Southampton Town Supervisor Jay Schneiderman, June Jaffee – Executive Director of the Muriel F. Siebert Foundation, State Assembly Member Rebecca Seawright and Julie Ratner. The event was also supported by Georgina Bloomberg, Anne Hearst and Beth Shak. 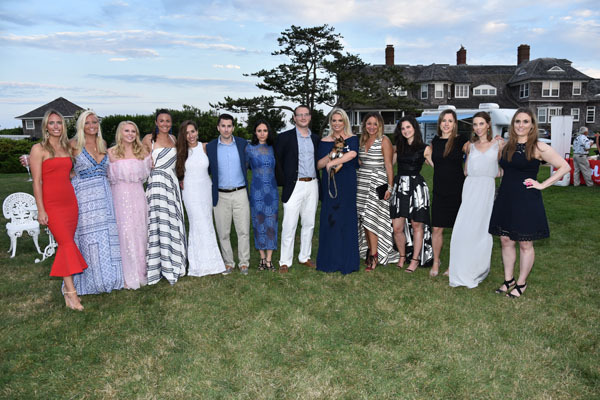 Event chairman Andrea & Alex Douzet, Missy Hargraves, Antonella Bertello, Marcy Warren, Ellen Ward Scarborough, Mollie Ruprecht Acquavella andMichael Katz were joined by Junior co-chairs Katie McEntee, Elizabeth Shafiroff, Kingsley Crawford, Pamela Suskind, Sarah Vacchino and Merritt Piro. Guests enjoyed dinner by Pinch Food Design, while Chris Norton and his band provided music for the evening. The event’s corporate chairs included Allen & Company, Ferguson Cohen LLP and Stifel. With thanks to supporters including AM Southampton. 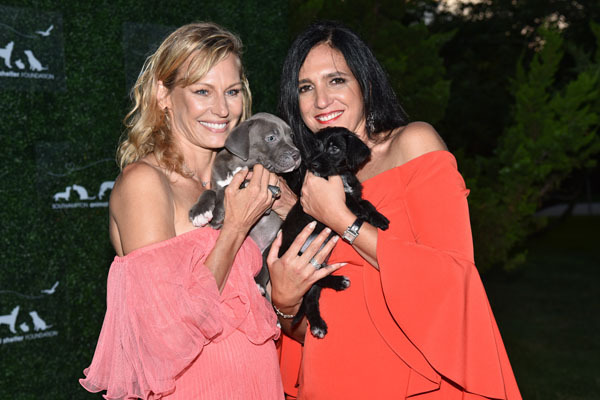 This year’s Unconditional Love Gala exceeded its fundraising goal through donations, pet sponsorships and silent and live auctions, as led by Katie Jacobs. All proceeds go towards SASF’s crucial initiatives, such as their low-cost spay/neuter mobile van granted by the ASPCA, efforts to rescue animals enslaved in puppy mills, and the daily care of the rescues within the shelter. Proceeds also benefit the shelter’s programs that help special needs children, along with educating, mentoring and implementing SASF’s “Playing for Life” program, which is currently in more than 40 shelters and recognized at major animal conferences throughout the U.S. The mission of the Southampton Animal Shelter Foundation is to provide for the welfare of homeless animals and find them loving homes. As the only open admissions animal welfare organization in the area, they are dedicated to promoting and nurturing the bond between people and animals through adoption, medical care, behavior training and education. Proceeds from the evening’s event go to support the critical programs and services they offer that make them the leader in animal welfare and responsible pet ownership in the community.